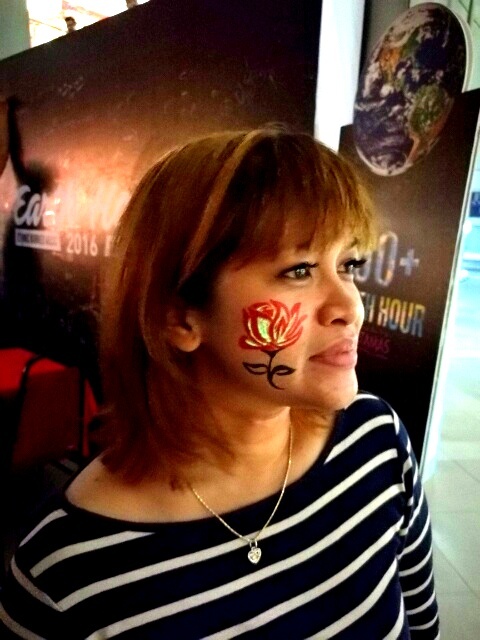 So, how did you spend your weekend and the Earth Hour 2016??? The second-to-last and last weekend of March is the time of the Spring and Autumn equinoxes in the northern and southern hemispheres respectively. This allows for near coincidental sunset times in both hemispheres, ensuring the greatest visual impact for a global ‘lights out’ event (that is if you are viewing from a rocket or space craft somewhere...), but well, Earth Hour which first started as a lights-off event in Sydney, Australia in 2007 chose that date for it's symbolic and spectacular lights out display. This is done with a big message which is that we all want to protect the future of our planet! 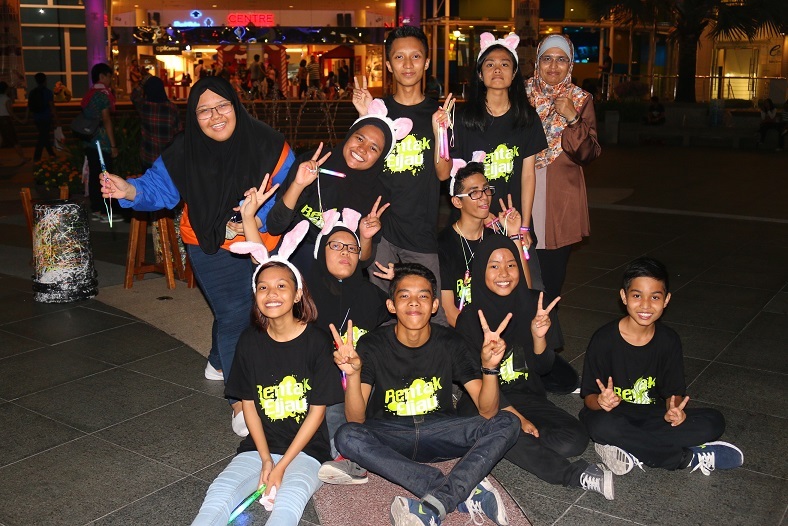 Earth Hour 2016 was held this year on Saturday 19 March between 8.30PM and 9.30PM. This happening worldwide done towards the end of March every year, encourages individuals, communities households and businesses to turn off their non-essential lights for one hour as a symbol for their commitment to the planet. 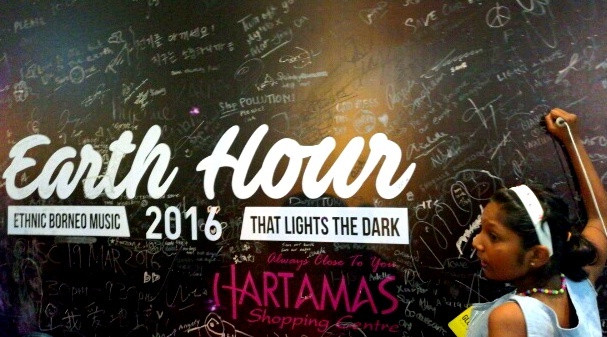 To commemorate this move, Hartamas Shopping Centre celebrated the Earth Hour this year in a pretty unique way. 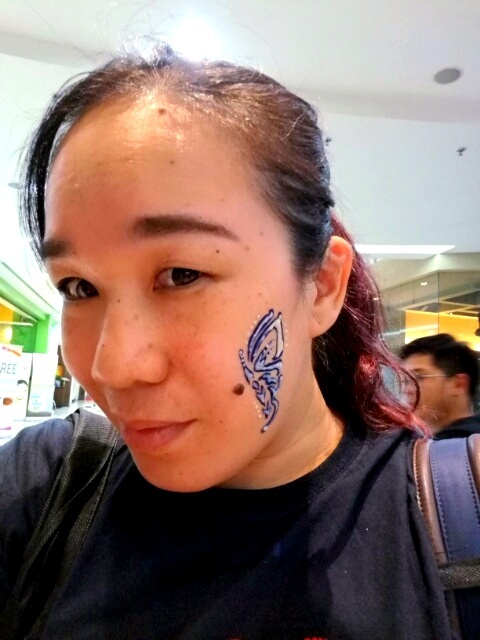 A petition board was set up for shoppers to pen their messages and names using glow in the dark markers..
And shoppers were given a chance to glow along during the Earth Hour with the free glow in the dark face-painting booth that had been set up. Taa daa,,, this is my glow in the dark face painting of a butterfly I chose a butterfly. Why? 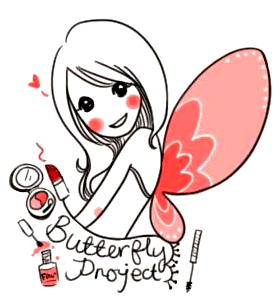 Because it is pretty and well, almost all of us can relate the butterfly's stages of life to our own life- growing pains, hunger, vulnerability, miraculous expansion. 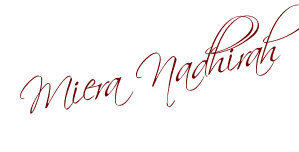 It is said the butterfly is a symbol of transformation because of its impressive process of metamorphosis, a symbol of conjugal bliss and joy as well as a symbol of change, color as well as considered a miracle of transformation and resurrection. Quite appropriate when we think about our lovely Mother Earth too...and our own lives right??!! The lights off campaign also gave shoppers and all those present a very unique Borneo ethnic band performance, playing unplugged ethnic music. 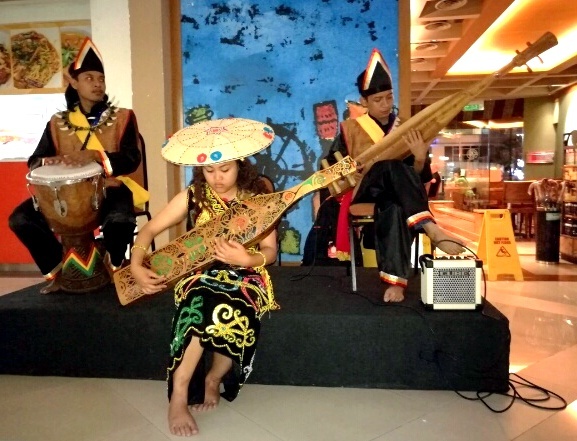 The Borneo ethnic band comprises of three musicians from Sarawak, who performed using only the Sape and Djembe, traditional musical instruments respectively from Borneo and West Africa used to create music with only a pair of skillful hands. 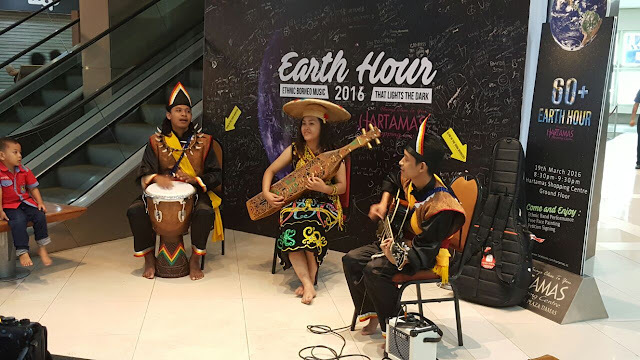 At the Curve, shoppers showed spirited support for the cause as they joined in the Curve’s annual Earth Hour celebration themed ‘Switch Off for a Brighter Future’. 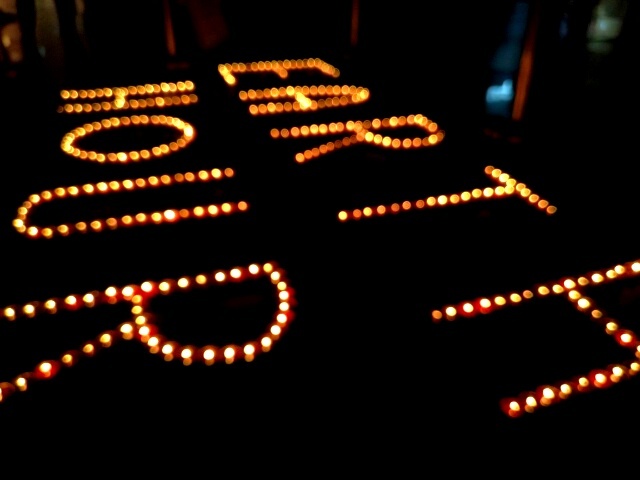 The highlight of the Curve’s campaign was the Candlelight Dinner that took place during Earth Hour on March 19. Bathed in the soft glow of hundreds of candles, the crowd enjoyed their candlelit meals at 31 participating F&B outlets lining The Street, on the Ground and First floors. 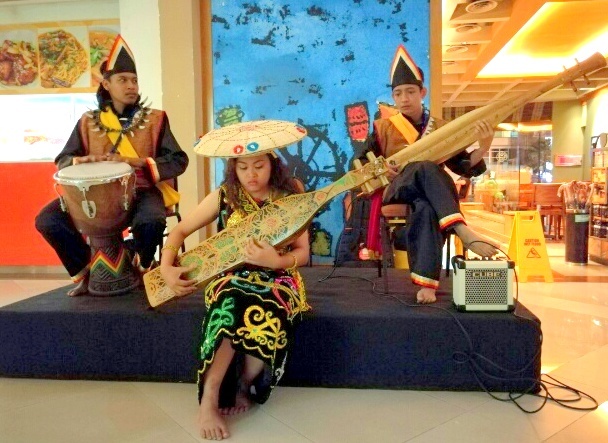 Diners were thrilled by an eco drum circle performance that made use of household items and recyclable materials as percussion instruments instead of conventional drums. The performers put on a spectacular display of sight and sound which enthralled kids and adults alike. Through this performance, patrons were presented with a creative way to recycle household items that are usually just thrown away absentmindedly. The campaign also highlighted how an act as simple as ‘switching off’, when carried out by so many, can conserve so much energy. Indeed, the power to change the planet’s destiny lies in the collective effort of all. 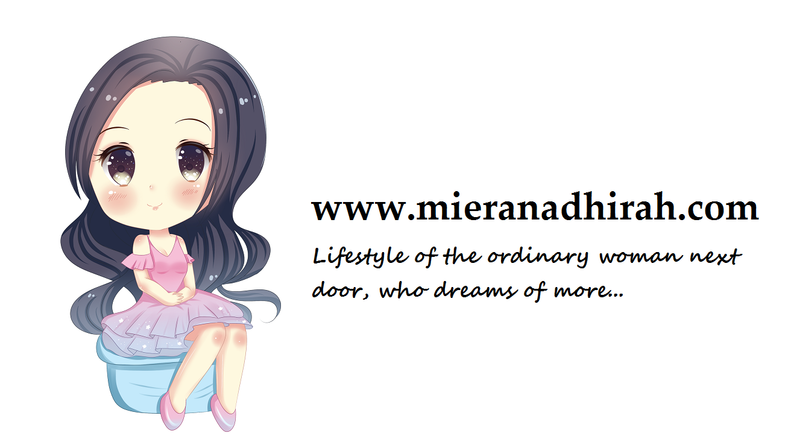 For more info visit www.thecurve.com.my or the Curve’s Facebook page at www.facebook.com/theCurveShoppingMall. 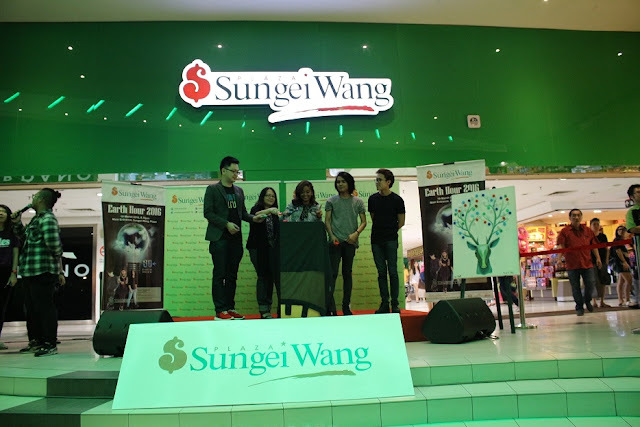 Sungei Wang Plaza joined in the Earth Hour initiative too. 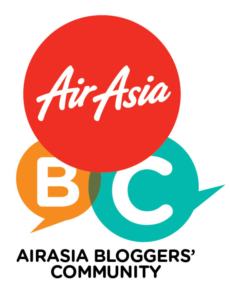 The mall turned off non-essential lights for one hour from 8.30pm to 9.30pm on 19 March 2016. 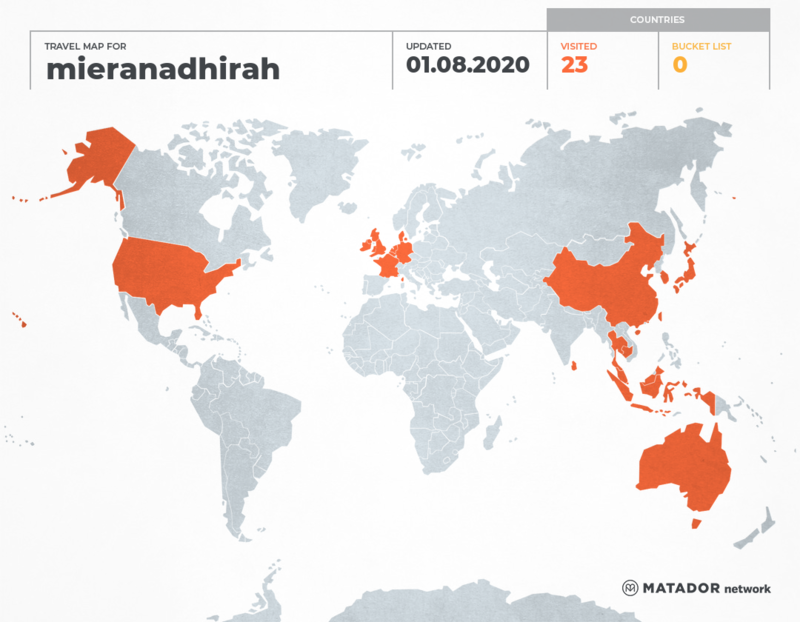 “As global warming continues to be a threat to our environment, our proactive action to preserve the planet is crucial. 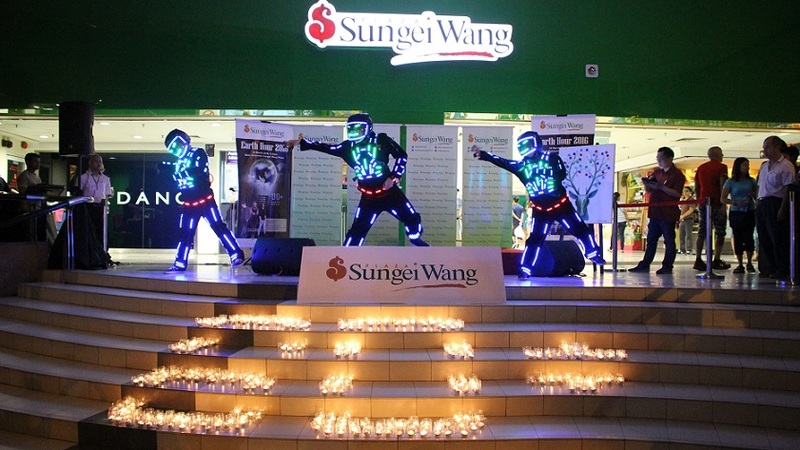 Henceforth, Sungei Wang Plaza is supporting Earth Hour to raise significant awareness to the public by having an enthralling event.” says Ms. Yuen May Chee, Complex Manager of Sungei Wang Plaza. Standing tall right at Sungei Wang Plaza’s Main Entrance, a KL Tower replica made of used cansis being showcased as an initiative to remind shoppers to practice recycling habits. 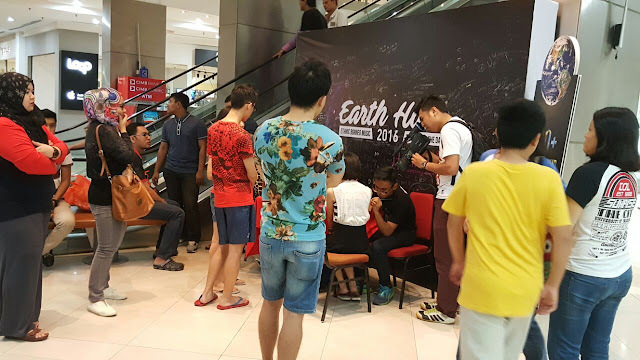 Many outlets in Sungei Wang Plaza had turned off their nonessential lights to support Earth Hour 2016. And there were a series of street performances lined up to entertained guests throughout the evening. 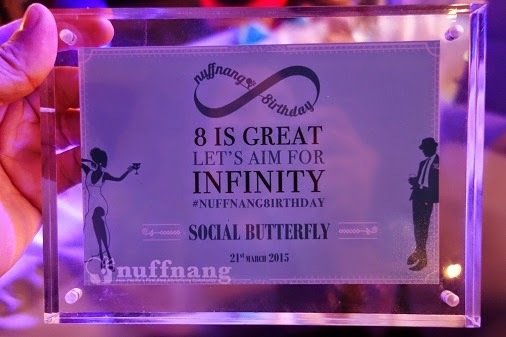 including magic tricks performed by the street magician, a percussion and beatboxing performance, as well as an eye-catching LED dance performance. There were also tarot card reading, face sketching and personalised hand wax moulding activities for all the guests who attended. 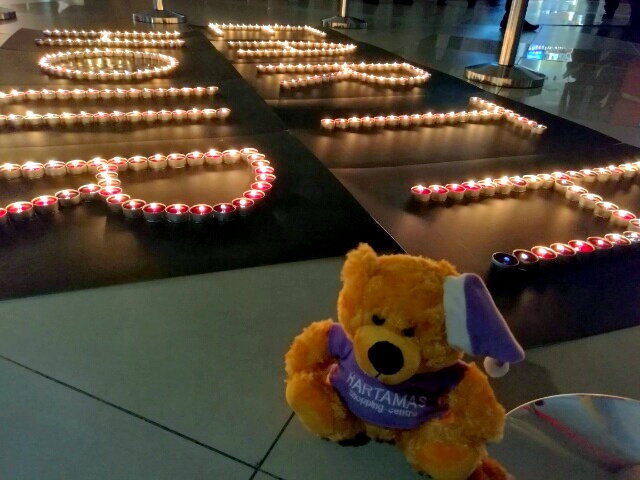 At 8.30pm, the non-essential lights in the mall were turned off. 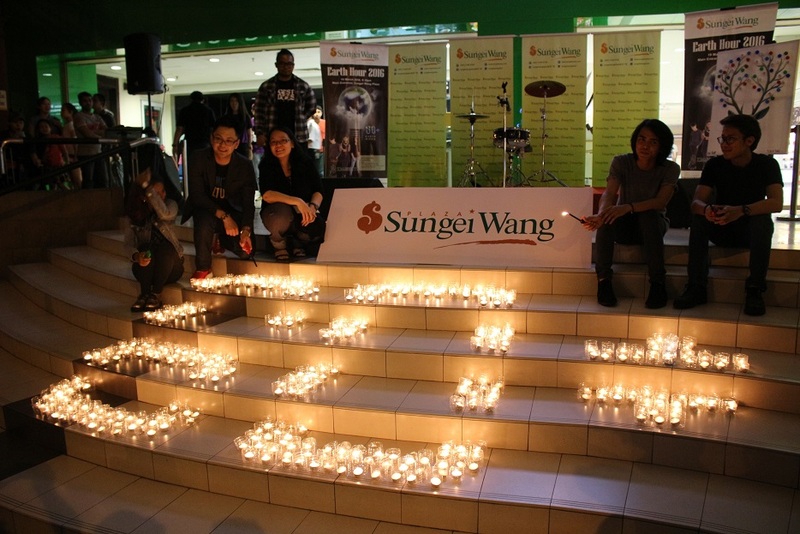 The candles with a ‘60+’ symbol right at the Main Entrance of Sungei Wang Plaza (signifying 60 minutes of lights off) were then lighted up. There was also a Handmade and Eco Market set up from 18 March to 20 March 2016 where shoppers could purchase eco products from showcased at Concourse Level. 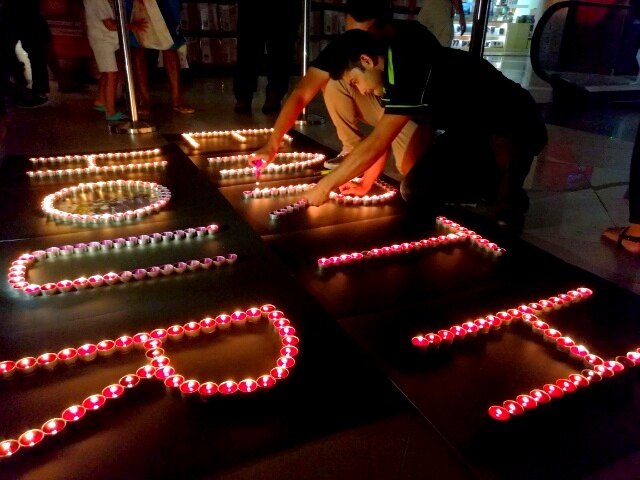 Great initiative by Shopping Malls to create awareness on the Earth Hour. The program and activities look great. 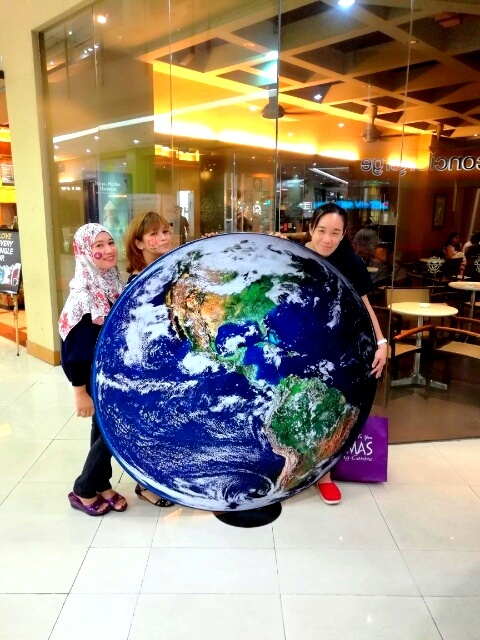 good ideas to give awareness to earth hours from all the shopping mall.